Demands for increased storage capacity represents a very real challenge for the modern business. Software-defined data centers (SDDC) led by VMware® software and Dell EMC converged infrastructure and solutions are meeting these demands, by modernizing enterprise data centers to become more agile, reliable, and cost-effective. vSAN is VMware's software-defined storage solution, built from the ground up for vSphere virtual machines. It abstracts and aggregates locally attached disks in a vSphere cluster to create a storage solution that can be provisioned and managed from vCenter and the vSphere Web Client. 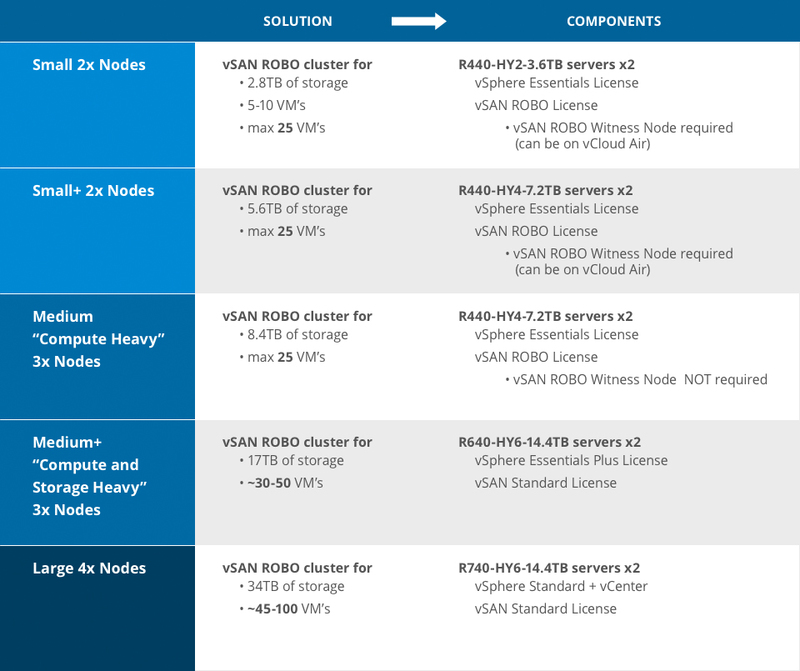 vSAN delivers enterprise-class features, scale and performance, making it the ideal storage platform for VMs. Dell EMC vSAN Ready Nodes can help you realize even more value from vSAN™ with a lower deployment risk and the fast scalability that drives competitive advantage. Don't have time? Drop us a line.